Presented by ANZ, musicians from the MSO will perform three stirring performances, the second concert of the day will see Sean Godsell’s MPavilion 2014 at the Hellenic Museum play host to the MSO’s string and oboe quartet performing works by Telemann, Mozart, Borodin and Beethoven. Members of the Melbourne Symphony Orchestra perform chamber music in the serene Hellenic Museum Gardens. A sophisticated selection of works from the Classical period beginning with Telemann through to the more romantic styles of Beethoven and Borodin. 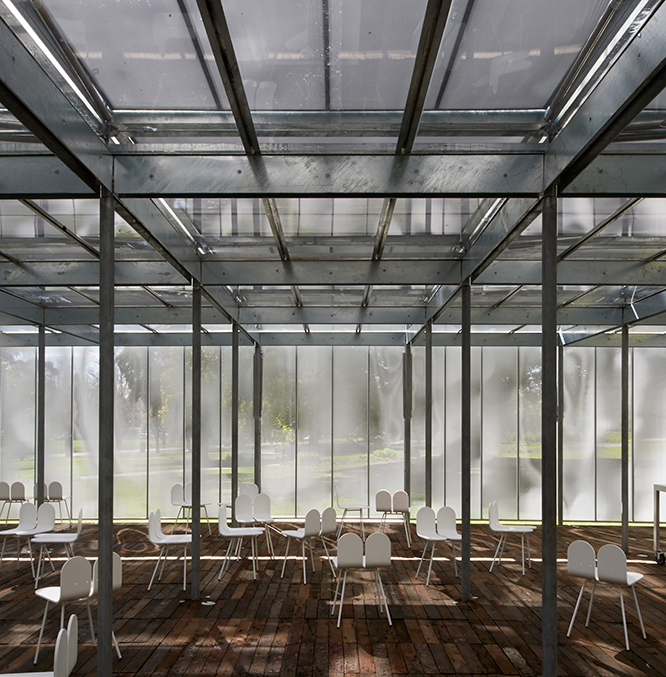 Bring yourself or the whole family and revisit (or visit for the first time) MPavilion 2014! The day of performances will begin preceding this event at MPavilion 2015 designed by Amanda Levete of AL_A in Docklands Park and conclude with a finale at MPavilion 2016 designed by Bijoy Jain of Studio Mumbai in the Queen Victoria Gardens. Main image by John Gollings.